(September 11, 2014) The North Carolina Department of Transportation (NCDOT) is expected to release its next draft Transportation Improvement Plan (TIP) by the beginning of December. The TIP will list highway projects that are expected to receive funding over the next few years based on anticipated available revenues. 1) Highway 160 (Steele Creek Road) from Shopton Road West to S Tryon Street - ID H111172-B - Widen to multi-lanes including bike lanes and sidewalks - $38,965,000. 2) Intersection of Highway 160 (Steele Creek Road) and Hamilton Road - ID H142094 - Widen intersection of NC Highway 160 (Steele Creek Road) and Hamilton Road for additional capacity consistent with the future Steele Creek Road cross section - $1,628,000. The developers of RiverGate currently are adding two right turn lanes at the Steele Creek Road/Hamilton Road intersection to accomodate anticipated increased traffic generated by the new Shops at RiverGate South. The NCDOT is a separate, more comprehensive project. Highway projects have been ranked based on NCDOT Prioritization 3.0 scores and local input points assigned by the Charlotte Regional Transportation Planning Organization (CRTPO) and the NCDOT Division 10 engineer. 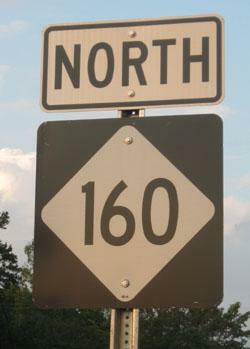 Both CRTPO and NCDOT Division 10 assigned maximum local input points to the two Highway 160 projects. This was due in part to the overwhelming number of comments the Steele Creek community submitted to CRTPO and NCDOT. Improvements to the SteeleCreek Road/Hamilton Road intersection ranks #1 on the list of 44 projects, and widening Steele Creek Road from Shopton Road West to S Tryon Street ranks #8. NCDOT will use the final project rankings to create the next draft TIP and will circulate it for public comment beginning in early December. It will be adopted by the North Carolina Board of Transportation in June 2015. The TIP will be developed under the Strategic Transportation Investments (STI) Law. Funding is not guaranteed for any project that is currently under consideration, but both Steele Creek road projects still appear to have a good chance for funding within the next five years.